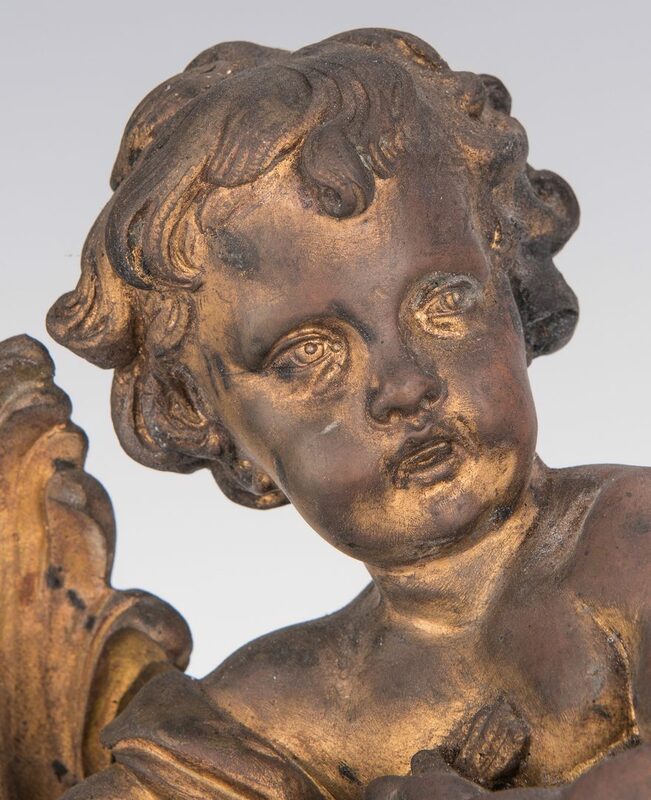 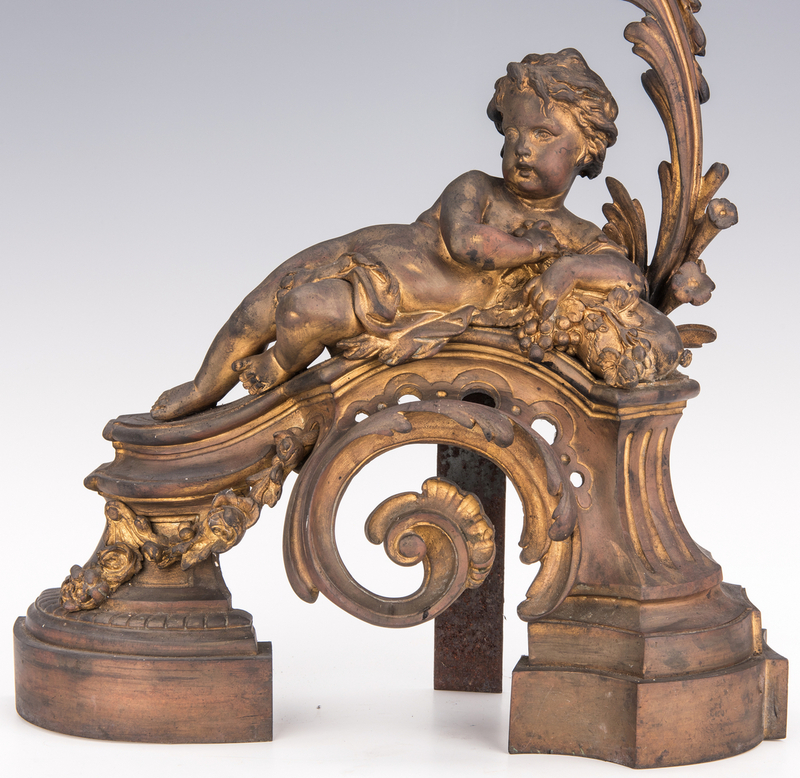 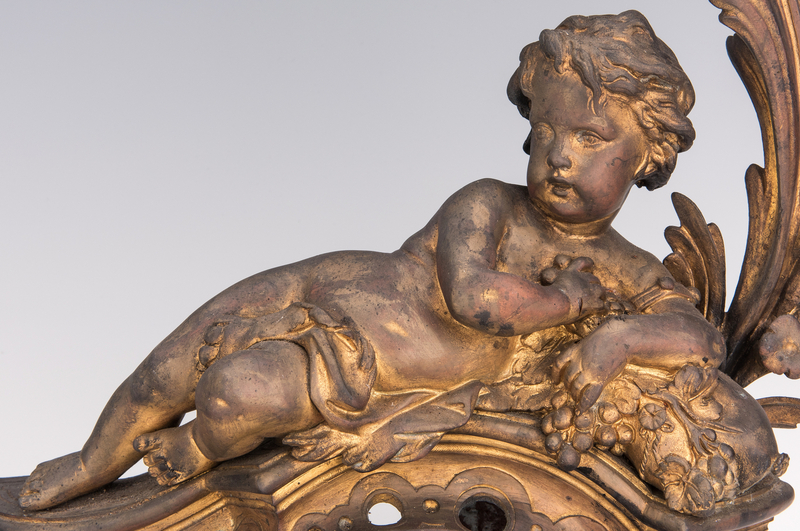 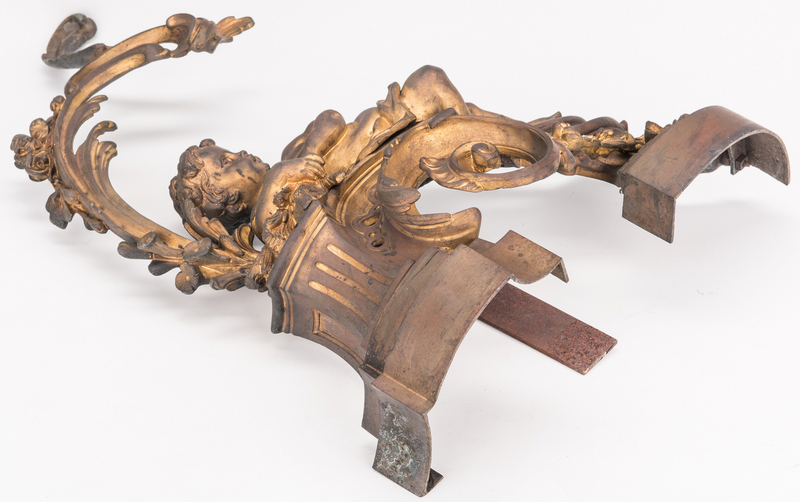 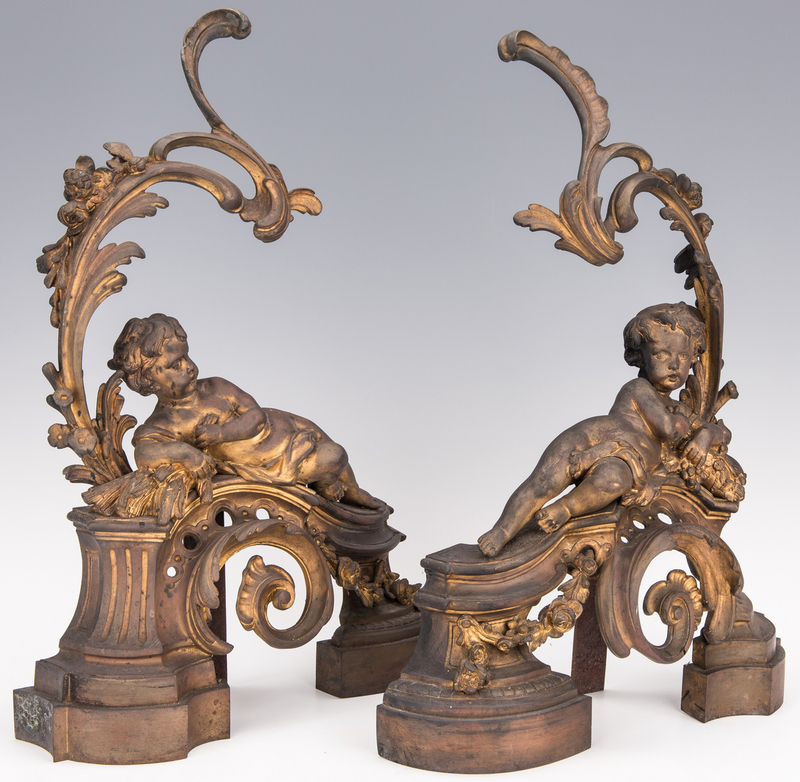 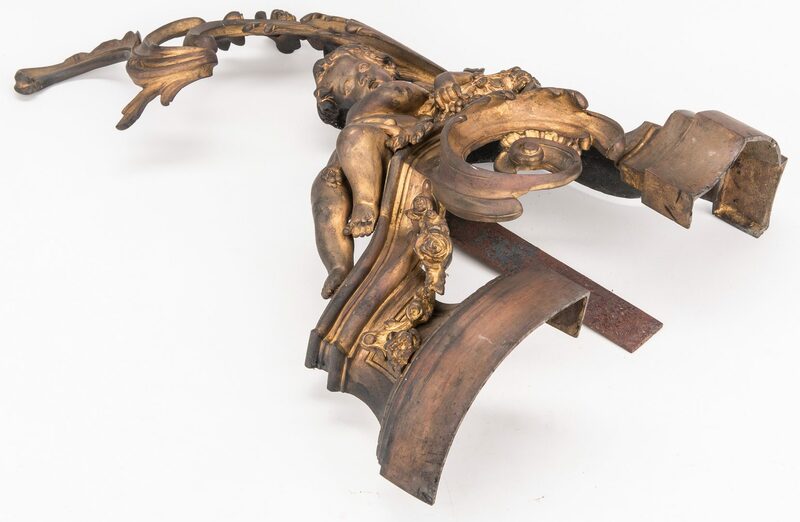 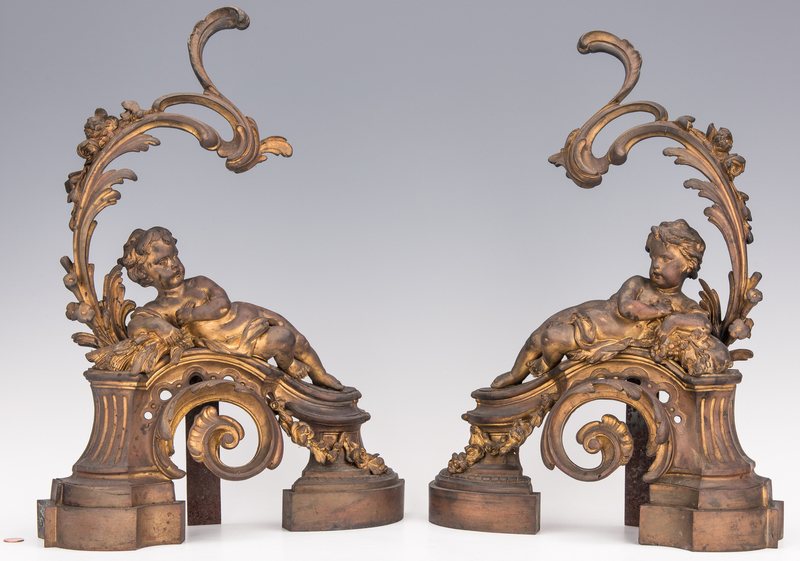 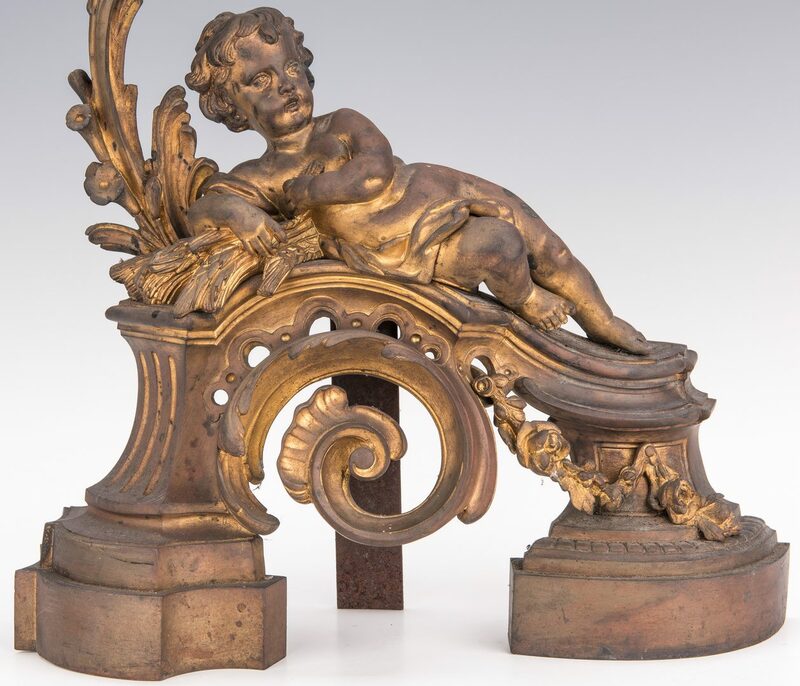 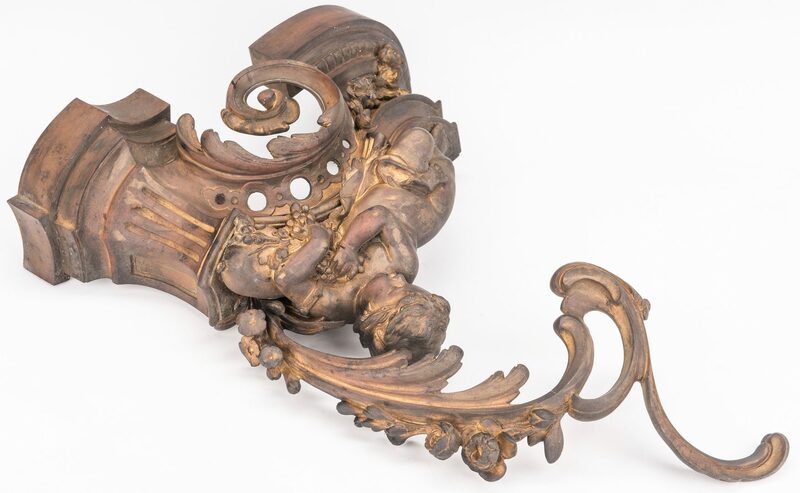 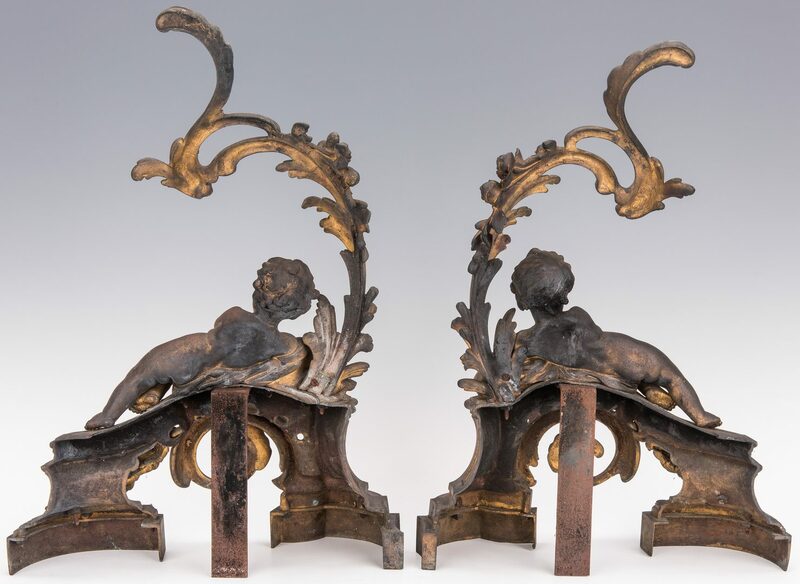 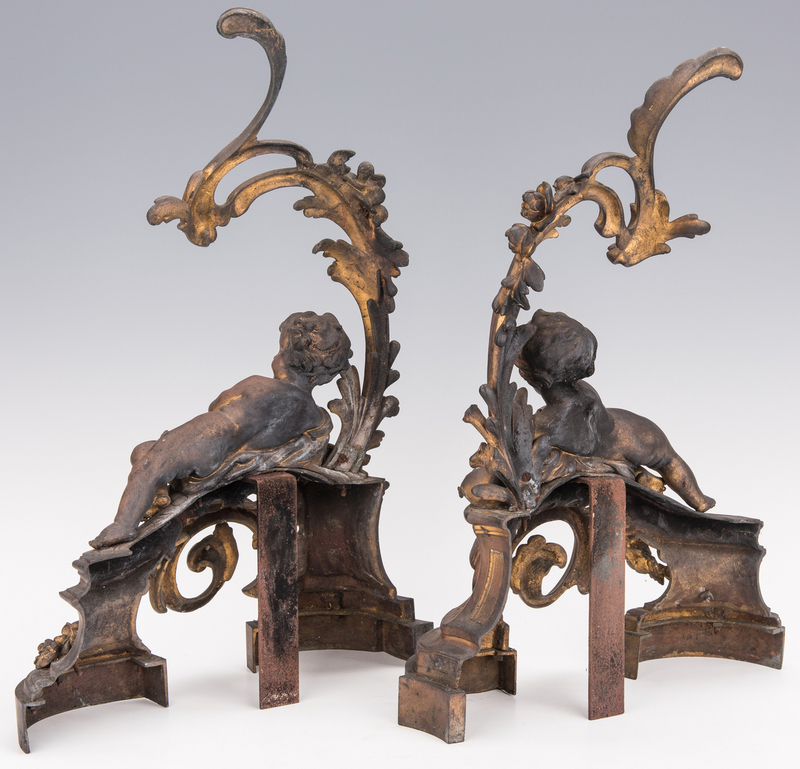 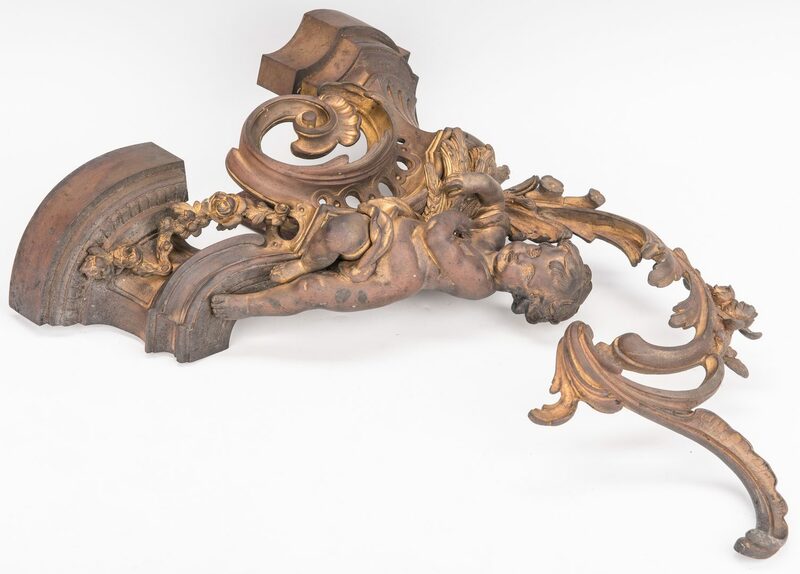 Pair French cherub figural gilt metal chenets, also called fire dogs or andirons, rococo style c-scroll and floral spray with each cherub resting on an architectural pediment, one cherub holding shafts of wheat, other holding various fruit. 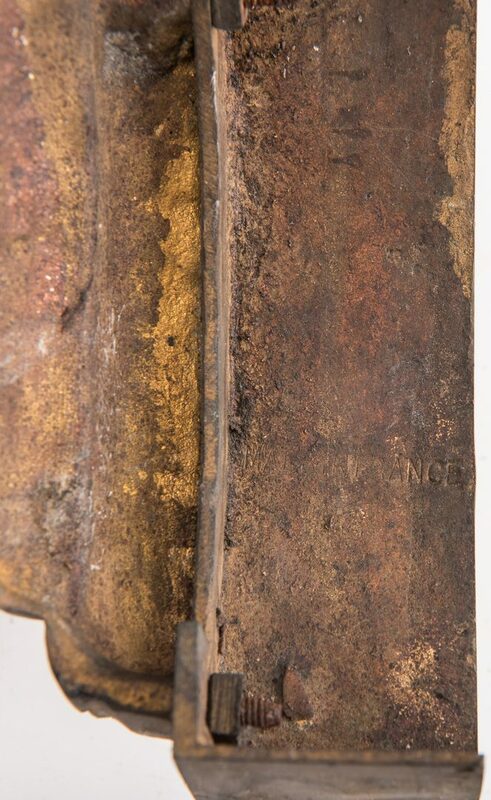 21" H x 14-1/4" W x 5-1/2" D overall (4-3/4" D base). 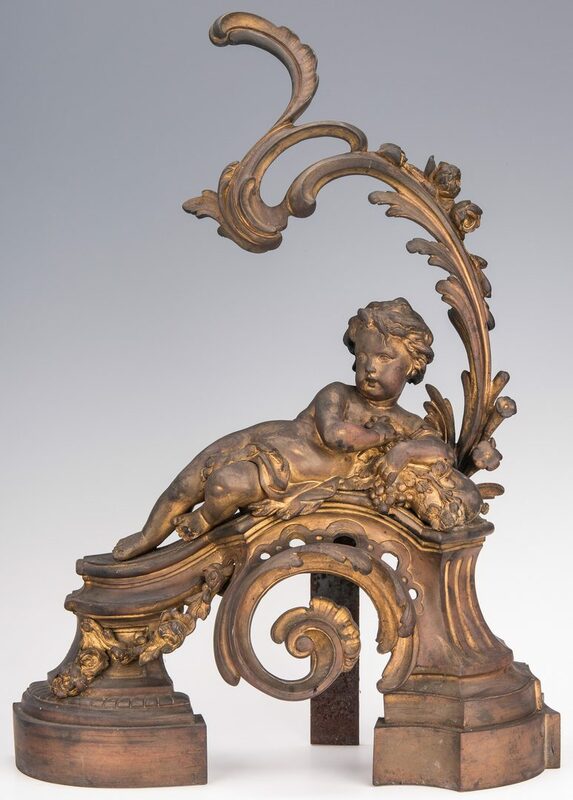 Marked Made in France. 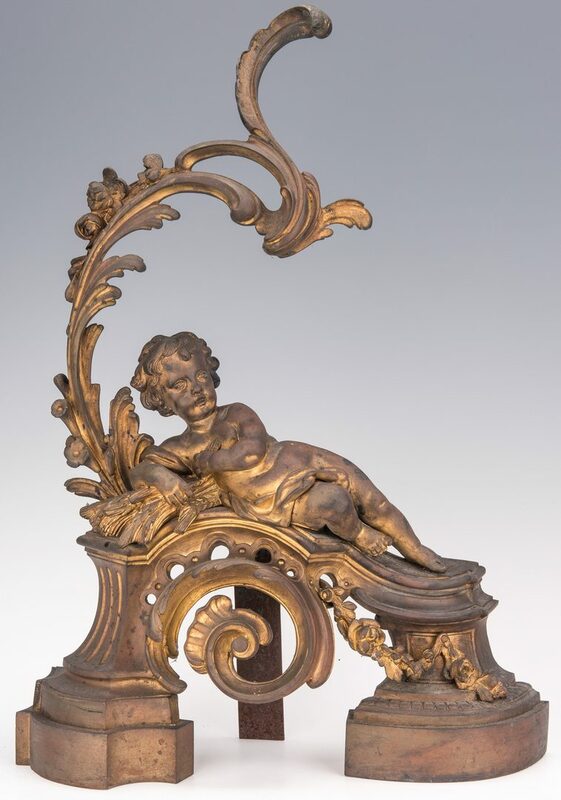 Early 20th century. 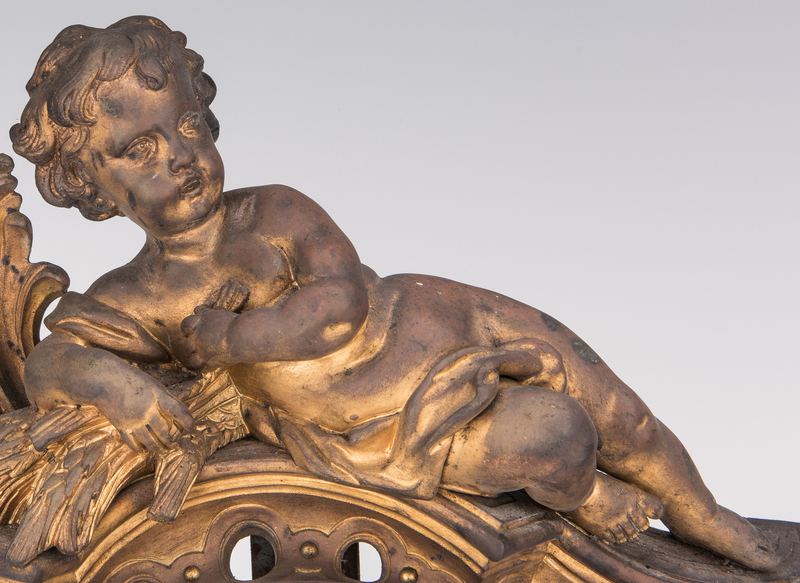 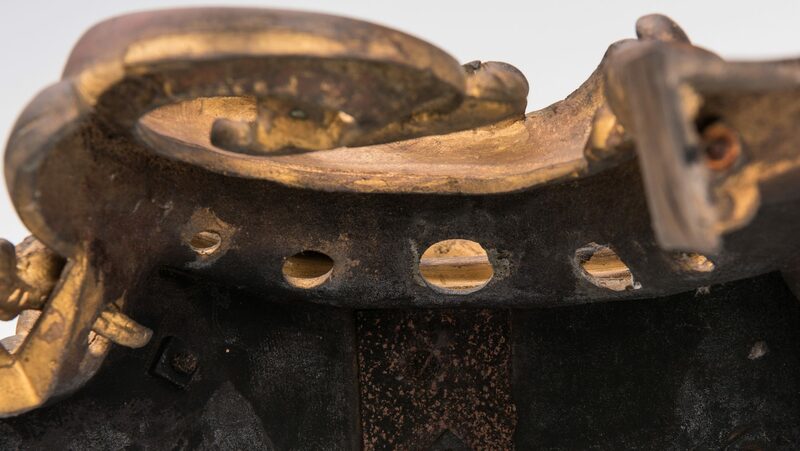 Provenance: Consignor inherited from grandparents who lived in New Orleans in 1930 and '40s. 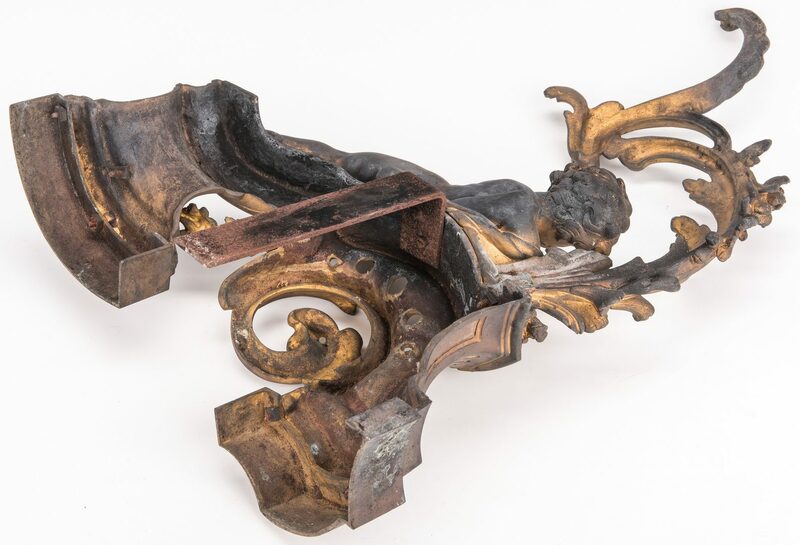 CONDITION: Newer gilt paint. 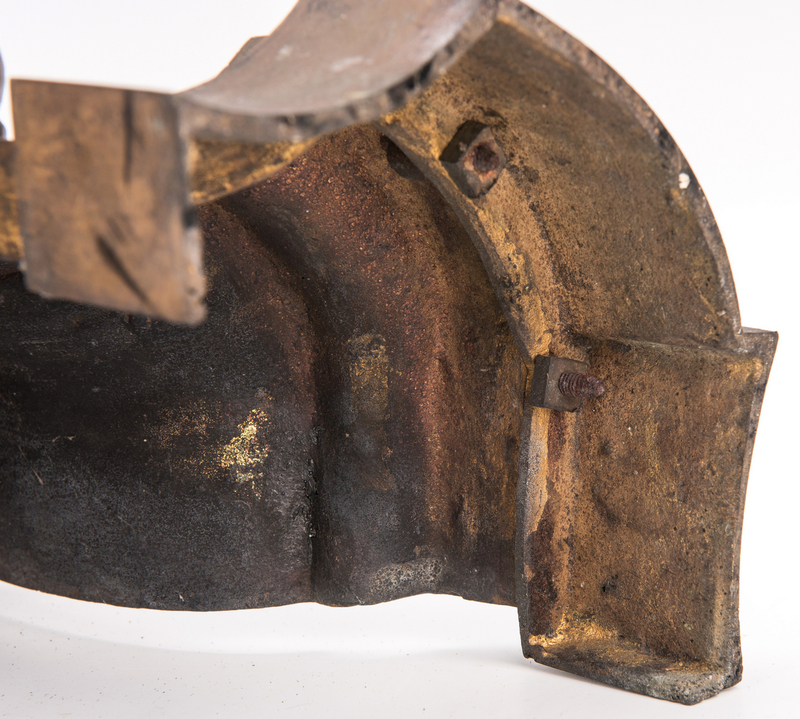 Heavy surface grime from use.